Good morning, good afternoon and good evening. I'm sure I don't need to tell most of you how wonderful Bioderma is and how it has earned a place in our permanent collections. However, not being widely available in shops it doesn't come particularly cheap for a product that is used daily in most cases. 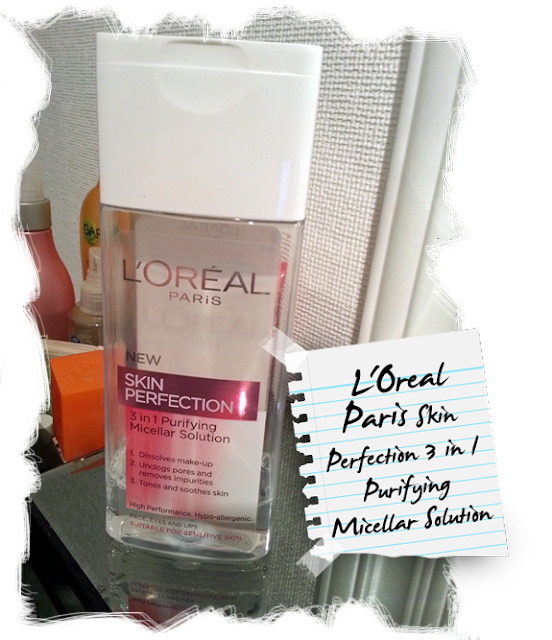 The L'Oréal Paris Skin Perfection 3 in 1 Purifying Micellar Solution is an alternative product that is now available, but is it really as good as Bioderma? - we shall see. Claiming to be a 3 in 1 product, this promises to dissolve makeup, unclog pores and remove impurities as well as toning and soothing the skin. Definitely a product that would appeal to those of you with hectic lifestyles or isn't looking to spend a lot on cleansing. Available for around the £5.00 mark, it won't break the bank and I believe it's actually on offer at Boots for £3.33 and you get a free Soap & Glory Scrub Your Nose in it sample, bargain! Now, let's get onto the actual product. I think this is a great replacement for my Bioderma. It removes my makeup easily in the evening but it also leaves the skin feeling clean and toned. It has a consistency of water so it is light and gentle on the skin. A small amount applied to a damp large cotton pad is enough to remove a full face of makeup, but I sometimes find using a second cotton pad ensures everything is removed. It is also great for those of us with sensitive eyes. My eyes did not sting at all when using this to remove my mascara and eye shadow. Unfortunately it isn't so great with removing waterproof mascara which is the only major downfall in my opinion. I don't find this as 'refreshing' for my skin as Bioderma but I still think this is a great overall product for the price. 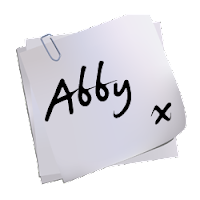 The packaging is also ideal or travelling as it's compact and conveniently shaped and it means you'll only need the one product.